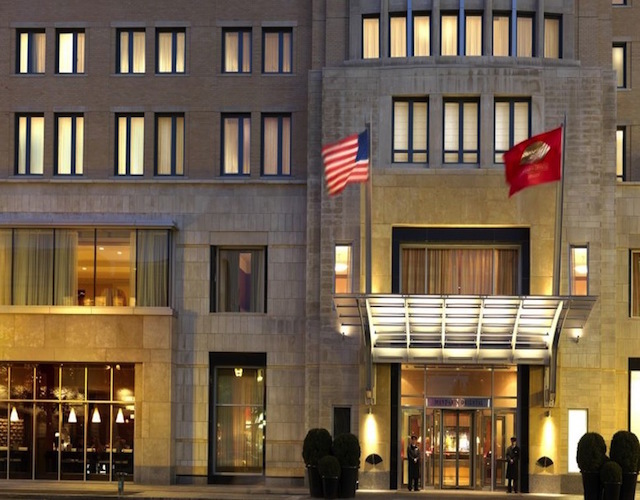 Never before has Boston seen the level of luxury attained at the five-star Mandarin Oriental, Boston in the heart of Back Bay. Located steps from the fabulous shopping of Newbury Street and the tremendous architecture of Copley Square, The Residences at Mandarin Oriental, Boston embody the very best of urban living in an exclusive oasis of private residences. One can live, work and play never having to even put on a coat, as Mandarin Oriental is connected to the covered arcades of the shops at Prudential Center, and those in turn to Copley Place. The immediate area boasts the best that Boston has to offer, from Symphony Hall to the Esplanade. Mandarin Oriental, completed in 2008, was developed by CWB Apartments LP and designed by renowned firm, CBT Architects. The building itself is designed in the great tradition of first class resorts and period ocean liners. The sleek façade hints at architecture of the 1920s and 30s with its stepped-back upper terraces and emphasis on verticality, reflecting the vitality of a burgeoning city. The interior of the 50 residences at 776 Boylston Street, and the 25 apartments at 778 Boylston being converted to condominiums, feature oversized windows that frame wonderful Back Bay views, as well as gourmet kitchens and spa-like bathrooms that give every resident the ability to live in complete luxury. Residents will also delight in the five-star services and amenities of one of Boston’s most celebrated luxury buildings, 24-hour concierge, doorman, valet parking services, in-residence dining from the hotel and Bar Boulud, Boston, a state of the art fitness center and the only Forbes Five-Star Spa in Massachusetts.